Many students from non-Christian backgrounds ask me questions about the Christian religion and its practices in the U.S. Today’s guest blog is written by an ordained clergy friend, David Smith, who can explain Christianity better than I can. To readers who don’t know me, please understand that this blog is educational only and not intended to recruit new followers to Christianity. Although I belong to a Christian church, I prefer to keep spirituality out of public discourse unless specifically asked. Some readers may encounter Christians who are aggressively pursuing new recruits to their belief system. I believe there are many avenues for humans to access the divine and don’t claim my belief system has all the answers. Christianity, as practiced in the United States, is very complex. The basic orientation, however, is for adherents to “confess Jesus” and follow his teachings. The traditional view is that Jesus is both fully human and fully divine. This means he was a man who lived and taught (2,000 years ago in the Middle East), but that he is also fully God. Most Christians confess Jesus as “Lord and Savior.” This means that Jesus is their teacher and master in this life on earth, but on Judgment Day, he is also a savior. This refers to a time after death when all people will stand before God’s judgment, and Jesus will “save” them from punishment (hell) and they will enter heaven. 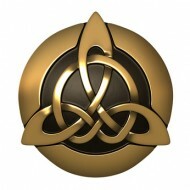 Traditional beliefs declare that God is a Trinity; that is, God has three aspects: the Father and source of all (Creator), the Son Jesus (who appeared on earth as a man but through his resurrection from the dead and ascension to heaven currently lives with the Father until his future return to earth), and the Holy Spirit, who is the spiritual agent that influences people (and possibly events) in the world. The three major divisions of Christianity are: Orthodox, Roman Catholic, and Protestant. 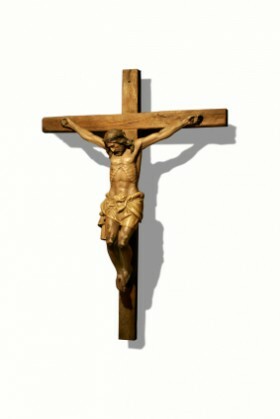 The early followers of Jesus were persecuted because they would not tolerate the other religions of the Greeks and Romans. They claimed (as do many conservative Christians today) that Jesus was the Son of God and “believing in him” was the only way to avoid eternal damnation. In about 320 of the Common Era (CE), Emperor Constantine declared Christianity to be a tolerated religion, and it soon became the dominant religion embraced and promoted by the emperors. In about 1050 CE, a major split occurred. The Orthodox Church remained powerful in the “east” (Greece, Turkey, Egypt, Syria, etc. ), and the “west” region (Italy and later, Europe) became the Roman Catholic Church. The Orthodox Church declined as the Muslim religion grew in that area. The Roman Catholic Church became very powerful as Europe developed over the following centuries. Then, in the early 1400s, there was a split in Europe (based on teachings of Martin Luther), and the Protestant movement began. While the Orthodox and Roman Catholic Churches remain controlled by power given to the top leaders (Cardinals, Bishops, Priests, etc. ), the various Protestant churches believe in the “priesthood of all believers.” This makes Protestant churches generally more “bottom-up” or democratic in their authority structure, also then, much more diverse. Additionally, the Orthodox and Roman Catholic Churches rely more on the authority of tradition (historical decrees, officially recognized “saints,” and other authority figures). The Orthodox churches are strong in Eastern Europe. 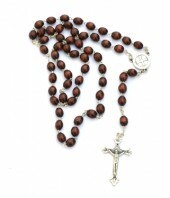 The Catholic Church is strong in southern Europe, South America, and some parts of the USA. 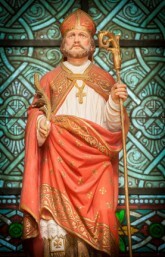 The Protestants are not controlled by any one leader or governing body, and they pride themselves on their independence. 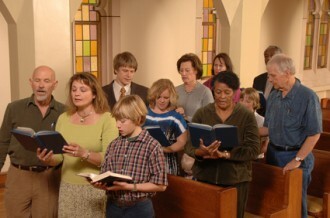 Consequently, there are many types of Baptist churches, along with several Lutheran, Reformed, Methodist, Presbyterian, and other smaller denominations. Some authors state there are over 2,000 distinct denominations. These various Protestant churches comprise 2/3s of all Christians in the USA. Protestants have a strong desire to win converts and build new churches. There are two major issues that divide the three major church groups: the interpretation of their sacred texts and the power of the persons in authority. Regarding the text: In the U.S., churches are divided along a conservative and liberal fault line, based on interpretation of the Bible. Conservative churches believe strongly that the Bible is the literal Word of God and its teachings must be followed strictly. Liberal churches see the Bible as much more symbolic and metaphoric, with old historical, scientific, and ethical teachings; they examine the Bible contextually within the time and place of the original writings (from 2,000 years ago). For example, the New Testament teaches that slaves should obey their masters and that women may not speak in church. This is universally seen as inappropriate teaching today, even by conservatives who would strongly defend all of the Bible as the Word of God. 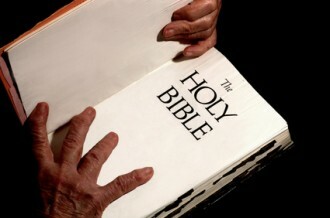 Regarding the authority: Conservative Christians would claim the Bible text is their sole authority. However each group has chosen different passages to emphasize and has different historical traditions and different historical interpreters that they honor. 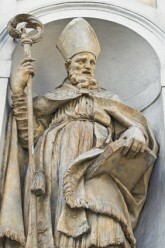 Therefore, creeds and confessions (also called statements of faith), written by past authority figures, would be seen as reinforcing the authority of the Bible. Liberal Christians are much more informed by their free thought and conscience. They choose from a broader based array of sources, which also include modern science, current philosophy, progressive interpretations of many historical writings, and current cultural values. Consequently, a conservative leader would appeal to the Bible (and that which confirms the Bible as literal) and the liberal would appeal much more to science, reason, and additional sources. Baptism of infants is practiced by Catholics and most mainstream Protestants. (For more on baptism, see this earlier blog.) The ceremony of baptism acknowledges God’s sovereignty over all life and is a pledge by the parents to raise the child in their particular tradition. Baptism of adults is sometimes called “believer baptism” and is symbolic of that moment when a person is converted from sin (“saved” ) and pledges him/herself to follow Jesus and join a church. Until this moment of salvation, that adult was destined to hell and now because of this confession of faith in Jesus, followed by the baptism symbolizing this event, is destined to heaven. 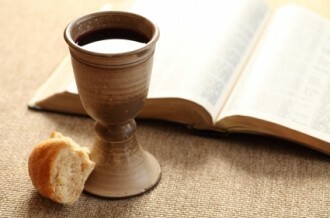 Holy communion (also called the Lord’s Supper) is a symbolic meal of a small portion of bread and wine (or grape juice). The ceremony recalls Jesus’ last meal with his disciples just before he was put to death on a cross. The traditional teaching of the Catholic Church is that the priest transforms the elements of bread and wine into the actual body and blood of Jesus. Most Protestant groups see the elements as symbolic, rather than the actual body of Jesus. Conservative denominations have strict rules on who may participate in this sacrament and how it is conducted. Also, there is great variation in the frequency of the sacrament; some churches may do it every day or every week, others once a month, or others only several times per year. In general, regarding the teachings and practices of the many U.S. Christian churches, there is great variety. The differences in conservative and liberal interpretations are significant, but much of this is related to “belief” and “church behavior” and has less impact on public behavior. By this, I mean that in our culture, most religious people behave much like all other people. And it seems we all get along pretty well. The Rev. Dr. David Lee Smith is an ordained minister in the United Church of Christ. He lives in Grand Rapids, MI, with his wife Lizzy.